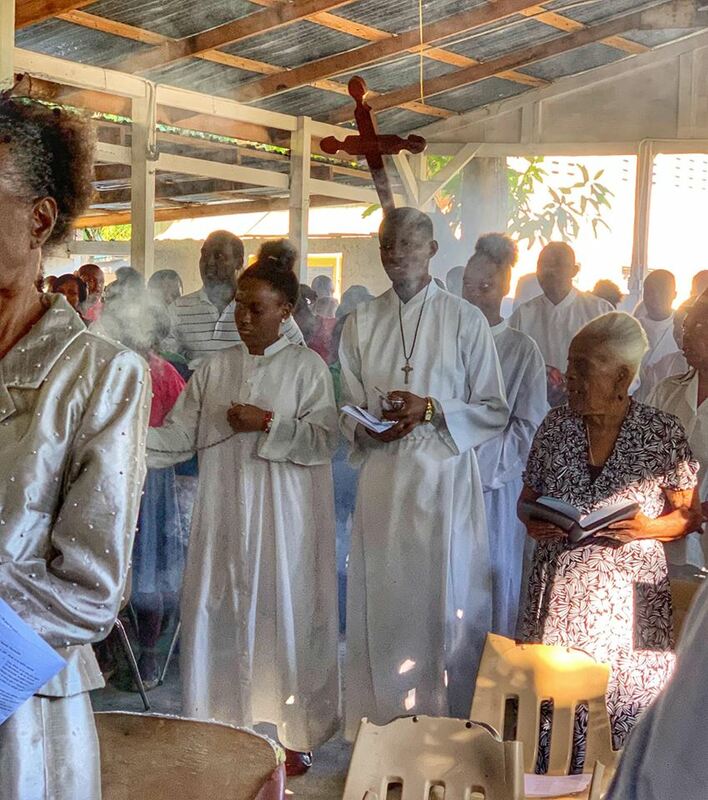 Earlier this month, Bishop Jennifer Baskerville-Burrows and eight members of the Diocese of Indianapolis Global Missions Commission made a pilgrimage to the Episcopal Diocese of Haiti. During their trip, the pilgrims visited the Université Episcopale d’Haïti and its nursing college, the Eglise Episcopal Seminaries Theologic in Port Au Prince, St. Croix Hospital, and many schools affiliated with the Episcopal Church. The Rev. Julia Whitworth of Trinity, Indianapolis, accompanied the group to explore a partnership between St. Richard’s Episcopal School and an Episcopal school in Haiti. Many participants reported feeling overwhelmed by the real need so evident in Haiti. They also reported a sense of great hope visible in the places they visited.